Marie Antoinette with her children. The Reign of Terror occurred from September of 1793 until July of 1794, and was a time period of extreme violence and paranoia during the French Revolution. Following the execution of Louis XVI, the more radical revolutionaries, the Jacobins, were concerned that foreign and domestic groups would threaten the continuing of the revolution. As such, the Jacobins worked to remove the more moderate Girondins from positions of power within the revolution. Next, the Jacobins began carrying out the Reign of Terror against anyone who they thought would threaten the revolution. The paranoia of the Reign of Terror would cause the deaths of tens of thousands with most being beheaded by guillotine. It was at the beginning of the Reign of Terror that the queen, Marie Antoinette, was executed. 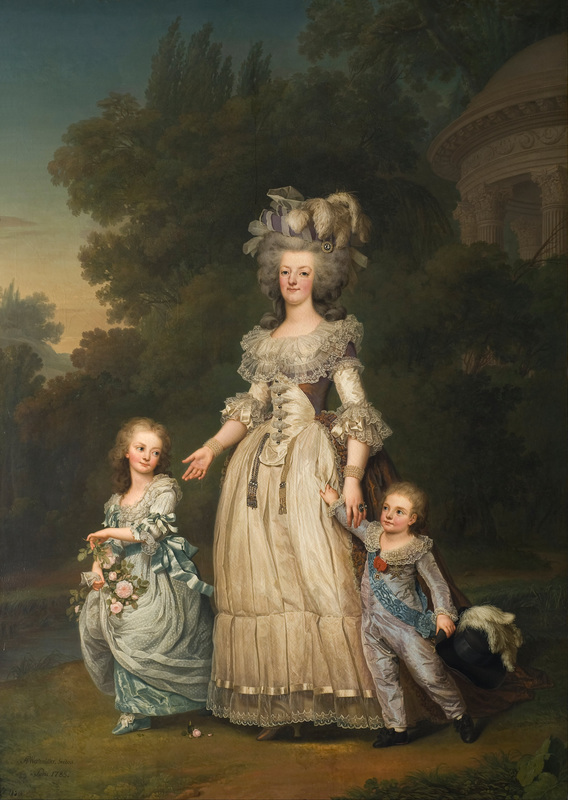 Marie Antoinette was originally from Austria and married to Louis XVI at a young age. During her time as the queen of France, the people would often blame her specifically for France’s financial woes. This reputation earned her the name “Madame Deficit”. By the time her execution approached in October of 1793, she was imprisoned by the revolutionaries and without her husband, as he had been executed earlier that year in January. She was officially tried with treason on October 12th of 1793 and beheaded by guillotine on the 16th of October. After the execution of Marie Antoinette, the French Revolution continued down a violent path as the Reign of Terror grew and became even more extreme. This is when Maximilien Robespierre began his own rise to power within the revolution. He was the head of the Committee of Public Safety, which was the executive committee of the National Convention, and would become well known for its role in carrying out the Reign of Terror. For many months throughout 1794, Robespierre battled against other revolutionaries in the National Convention by questioning each of their loyalties towards the revolution. For example, he accused many people of being domestic threats to the continuation of the revolution. It is during this time that many prominent revolutionaries within the National Convention were guillotined for their perceived betrayal to the revolution and Robespierre maneuvered his way to the head of the convention. For example, when Georges Danton, a leading revolutionary, called for an end to the Reign of Terror he was the next to face the guillotine. Finally, on June 4th, 1794, Robespierre was elected the president of the National Convention. Robespierre then declared a new religion called the Supreme Being and carried out a series of celebrations based around the new faith. On June 8th, 1794, Robespierre oversaw the Supreme Being Festival in Paris that would be celebrated based on a new calendar. Some members of the National Convention and Committee of Public Safety were visibly upset with the celebration and the actions of Maximilien Robespierre. In fact, Robespierre had begun to make many enemies within the revolution after he claimed to have a list of people that were enemies of the revolution. By threatening to release the names, Robespierre angered others who began to work against him and accuse him of acting like a dictator. 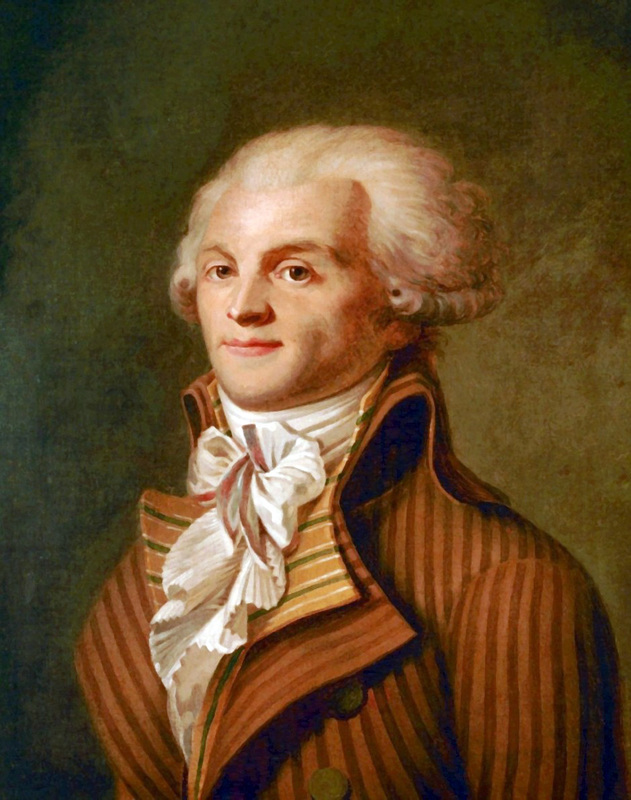 Based on his actions and threats the National Convention voted to arrest Robespierre. On July 28th, 1794, soldiers stormed into where Robespierre was staying. As the soldiers arrived, he attempted to commit suicide by gunshot to the head, but was instead only injured in the jaw, shattering it. For the rest of the day, Robespierre was held captive until he was guillotined without a trial that same afternoon. With his death, the fear and paranoia of the revolutionaries ended and the Reign of Terror was over. After the execution of Robespierre and the excess of the Reign of Terror, the National Convention was replaced by the Directory in 1795. The Reign of Terror was one of the most significant events of the French Revolution. It was originally carried out to stop supposed threats to revolution, but ended up displaying the excesses of the revolution and the heights of violence. 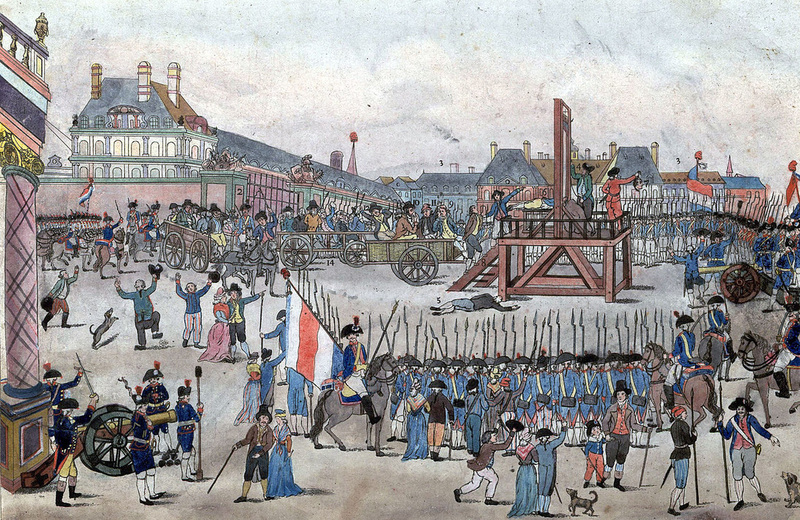 In total, over 40,000 citizens of France were executed during the Reign of Terror with many beheaded by the guillotine.